Elmore M. Kennedy Jr.Elmore M. Kennedy Jr., 90, one of the dwindling number of Tuskegee Airmen who served during World War II, died of complications of a stroke July 22, 2006, at Christiana Hospital in Newark, Delaware, near the home of his niece, Kim McKinnie. He lived in West Philadelphia. "Dr. Kennedy was a visionary who believed we had a responsibility in our community to uplift people," said Tess Spooner, president of Tuskegee Airmen Inc. "He was a diplomat, a teacher and a scientist with compassion who brought calm to every situation." Born in Columbia, South Carolina, he moved to North Philadelphia at age 5. After graduating in 1933 from Simon Gratz High School, he worked any job he could find for a few years during the Depression. He joined the ROTC and earned a bachelor's degree in 1940 in chemistry from Wilberforce (Ohio) University. He was unemployed for a while before being hired at a Ford plant in Detroit. When the United States entered World War II following the bombing at Pearl Harbor, Dr. Kennedy was called to active duty as a second lieutenant of infantry at Fort Huachuca, Arizona. After a visit to Wright-Patterson Air Field in Ohio, Dr. Kennedy yearned to fly fighter planes. He volunteered for the program at the Tuskegee Institute in Alabama where black fighter pilots were trained at Moton Field. He graduated from a class of 31 pilots in 1943. Dr. Kennedy had been trained to fly the B-25 twin-engine medium bomber and the C-47 transport plane. Dr. Kennedy served stateside as part of the 618th Bomb Squadron, 477th Bomb Group as support for the Tuskegee Airmen fighting overseas. After the war, he taught engineering and air studies at several universities until mustering out in 1963 as a lieutenant colonel. After earning a master's degree in 1960 and a doctorate in 1968 in metallurgical engineering, both from Ohio State University, Dr. Kennedy was hired as an engineer by General Electric in Burlington, Vermont. There, he worked in GE's missiles and space division. Dr. Kennedy helped develop the Snap-27 nuclear generator that was carried to the moon aboard Apollo 12 in 1969. He was transferred in the 1970s to the GE plant in Detroit, where he worked until 1985. Dr. Kennedy was hired as deputy director of the City of Detroit's engineering department before retiring in 1996. In the early 1990s while in Detroit, he was president of the Tuskegee Airmen Inc., an organization that ended nearly 30 years of anonymity for the Tuskegee Airmen when it was founded in 1972. 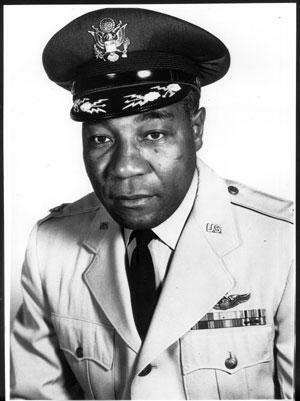 He was also head of the Tuskegee Airmen National Historical Museum. "Dr. Kennedy had a brilliant mind," said Nancy Leftenant Colon, former president of Tuskegee Airmen Inc. "He was a no-nonsense person who knew what he was doing. Everyone looked up to him." Dr. Kennedy served on the Detroit Board of Education, was head of the Detroit Science and Engineering Coalition, and was a member of Price Hall F&A Masonic Lodge. Dr. Kennedy moved to West Philadelphia in 1996. He continued his work with Tuskegee Airmen Inc. and was a consultant for the vocational guidance office for the Philadelphia School District. Throughout his life, he urged students to pursue careers in aviation and aerospace. In addition to his niece, Dr. Kennedy is survived by a sister, Nellie; several other nieces; and a nephew. He is also survived by his former wife, Kay, to whom he was married in the 1930s, and again from 1986 to 1996. Friends may visit at 9 a.m. Monday at St. Luke's Church, 5421 Germantown Ave. A funeral will follow at 11. Burial will be in Arlington National Cemetery, Virginia, at a later date.